I am a caregiver and girlfriend to Alec Bishop. A strong and courageous man that has been fighting primary mediastinal B-cell lymphoma for over a year and a half. He was diagnosed in August 2017 with a softball-sized tumor pressing on his superior Vena Cava. He went through 6 cycles of R-CHOP chemotherapy only to relapse with a new tumor a month after his last cycle of chemo. He went on to have 2 cycles of R-ICE salvage chemotherapy in preparation for an autologous stem cell transplant. After 2 cycles of R-ICE chemotherapy his oncologist discovered the chemo had no effect on his tumor. Going forward with the Auto transplant was not recommended by his team so they referred him to City of Hope in Duarte where he would have experimental CAR-T cell therapy on a clinical trial. They harvested his T cells in April and in May he had his genetically modified T-cells infused back into his in hopes that it would destroy his cancer. A month later a PET scan revealed that the cancer in Alec’s chest had been unaffected by the CAR-T cells. We felt hopeless but right away his doctor at City of Hope had another plan to save Alec. He started him on an immunotherapy clinical trial and within a few months Alec was declared in remission. 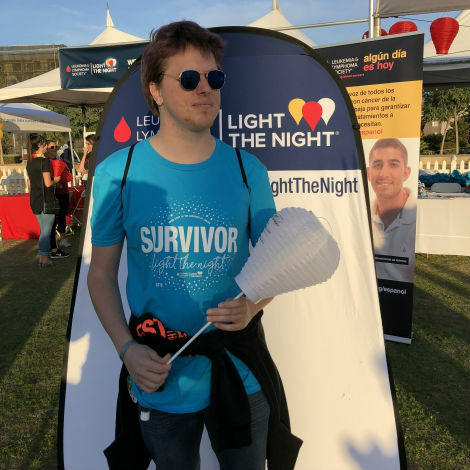 His doctor said that to preserve his remission Alec needed to have an allogeneic stem cell transplant to keep his lymphoma from returning by having his donors cells replace him immune system and destroy any lingering or new cancer cells. Alec is on day +42 of his transplant now and he has endured some complications but overall is doing well. Alec is a kind and humble man who cares for everyone he meets. He has kept his head held high through his cancer journey and never gave up on fighting with all he has in him! As his girlfriend and caregiver he is truly an inspiration to me.